Family fun in Thailand is synonymous with the southwest coastline north of Phuket and if you're looking to swap your shoes for flip-flops and your briefcase for beach bag then right here is where you start to make things happen. 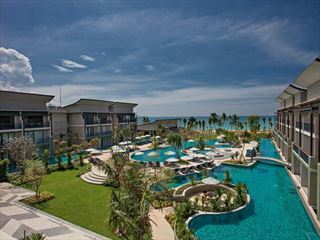 Centara Seaview promises a whole host of on-site facilities and activities to keep everyone happy and outdoors all day long with four swimming pools and a couple of kids' clubs definitely presenting two big ticks on the Thailand family holiday wish list. With some excellent restaurants and bars in resort you'll be sure of a warm welcome and if you fancy exploring further afield there are numerous local attractions to help introduce a spot of cultural enlightenment. 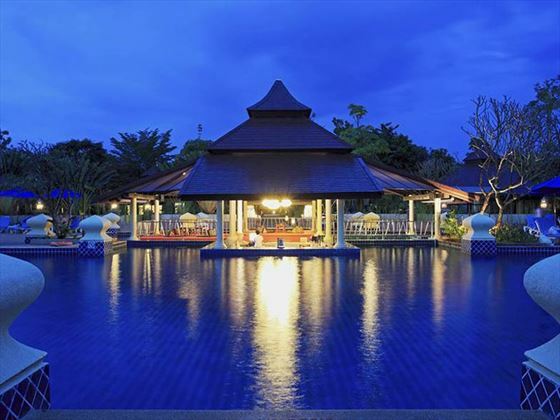 Set along Thailand’s southwest coast in Khao Lak, the resort boasts a prime location on Nang Thong Beach, framed by a long ribbon of sugary sands lapped by the Andaman Sea’s cobalt waters, with verdant gardens and spectacular mountainous scenery serving as an idyllic backdrop. 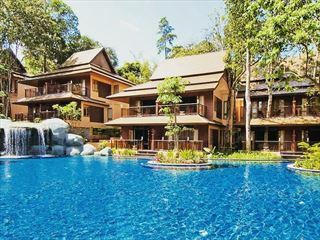 Khao Lak is ideal if you’re in search of a relaxing Thai holiday with ample opportunity to appreciate the beauty of the Phang Nga Province and Andaman Sea. 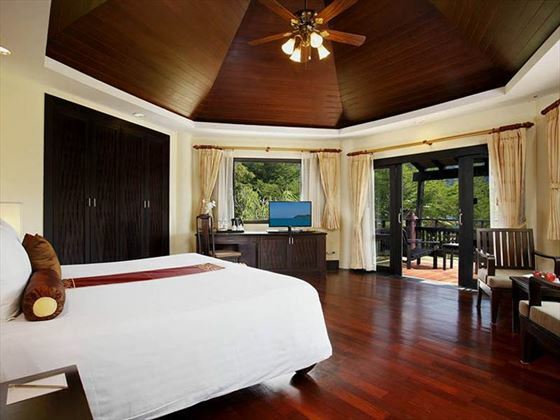 Centara Seaview Resort is a short, gorgeous walk away from several local bars and restaurants, and you’ll be in extremely close proximity to the magnificent Lam Ru National Park, offering an expanse of verdant forests, pristine beaches and glistening waterfalls, as well as the stunning Khao Sok National Park. Phuket islands’ wealth of attractions can be reached in around two hours, and a number of enchanting islands surround you which await to be explored. 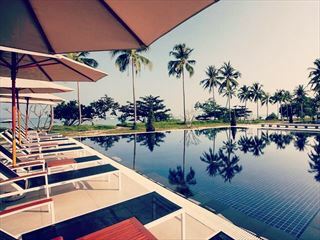 • The resort is around an hour's drive north of Phuket International Airport. 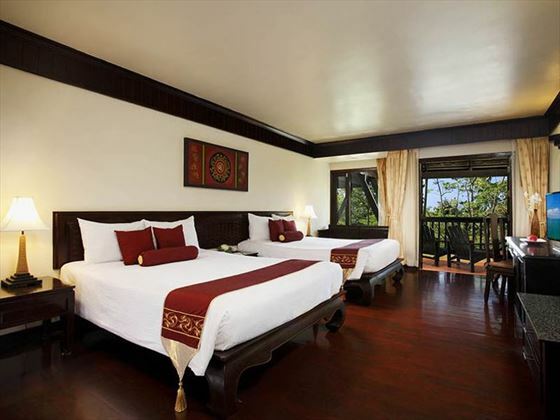 Deluxe Room – one king-size bed or two double beds with natural décor, garden views from the private terrace or balcony. 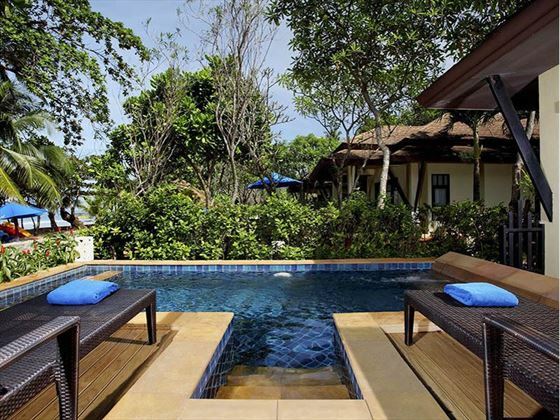 Deluxe Pool Villa – also located in the Lagoon Wing and larger than Deluxe Villas with spacious terrace and private plunge pool, living area, king-size bedroom and extra outdoor shower. Luxury Pool Villa – larger than Deluxe Pool Villas with same features as mentioned above plus a separate living/ dining room. Premium Deluxe Villa – larger than Deluxe Villas with a spacious living/ dining room which opens out onto a furnished balcony with garden views. 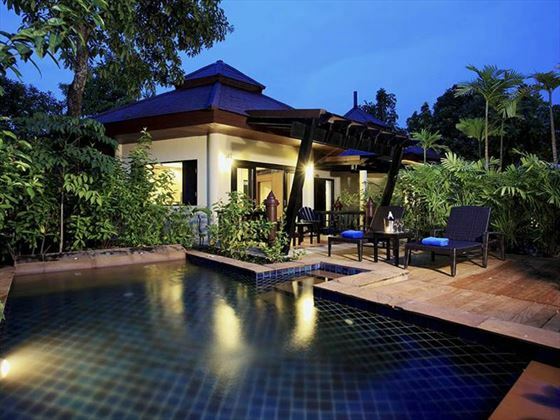 Royal Pool Villa – Similar to the Luxury Pool Villas with the same layout and features only extra space. Family Residence – choose between one or two bedroom properties as well as one storey or two storeys with family-friendly features, such as: bunks beds, two bathrooms and close proximity to swimming pool and resort gardens. Deluxe Two Bedroom Family Residence - Spacious two bedroom residence with king-size bed and bunk beds, these residences have a separate living/ dining room perfect for families. Talay Thong – an authentic taste of Thailand served from 8am until midnight. 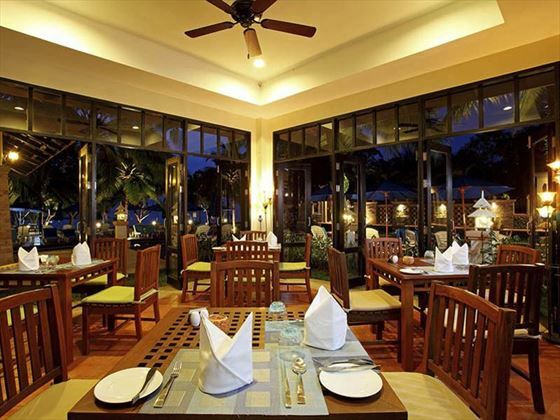 Orchid Restaurant – all-day international dining selection within an indoor and outdoor setting. Rim Nam Pool Restaurant – family-friendly lunchtime restaurant close to the pool. 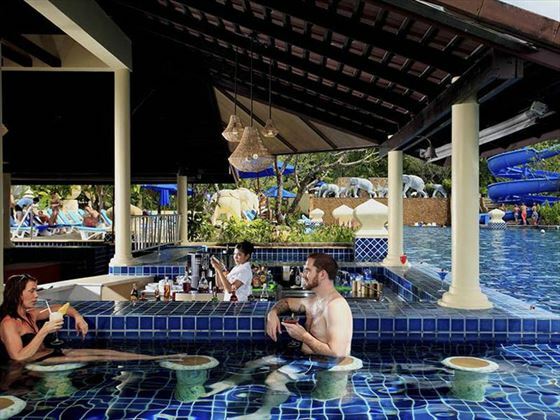 Pool Bar – swim up snacks and refreshments served throughout the day. Sports Pub – light bites, drinks and live sports on the TV. In-room dining – choose between romantic meals for two on the beach or family meals on your private balcony or terrace area. Spa Cenvaree – a superb choice of massages, treatments and beauty therapies as well as Jacuzzi rooms and couples' suites. Honeymooner's and wedding anniversary couples are required to provide a valid Wedding Certificate or copy at time of booking and check-in. Anniversaries celebrated are 1st, 5th, 10th, 15th, 20th, 25th, 50th and upwards. 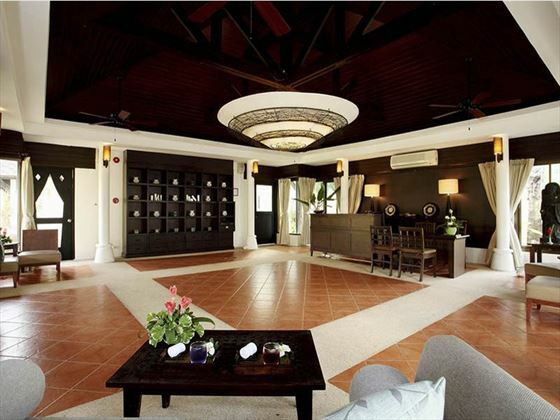 Newly open, this comfortable hotel offers three brilliant pools, breath taking beach views, sleek accommodation and delicious cuisines close by to Khao Lak.